Hi, my name is ******* ******* and I am from Chile. 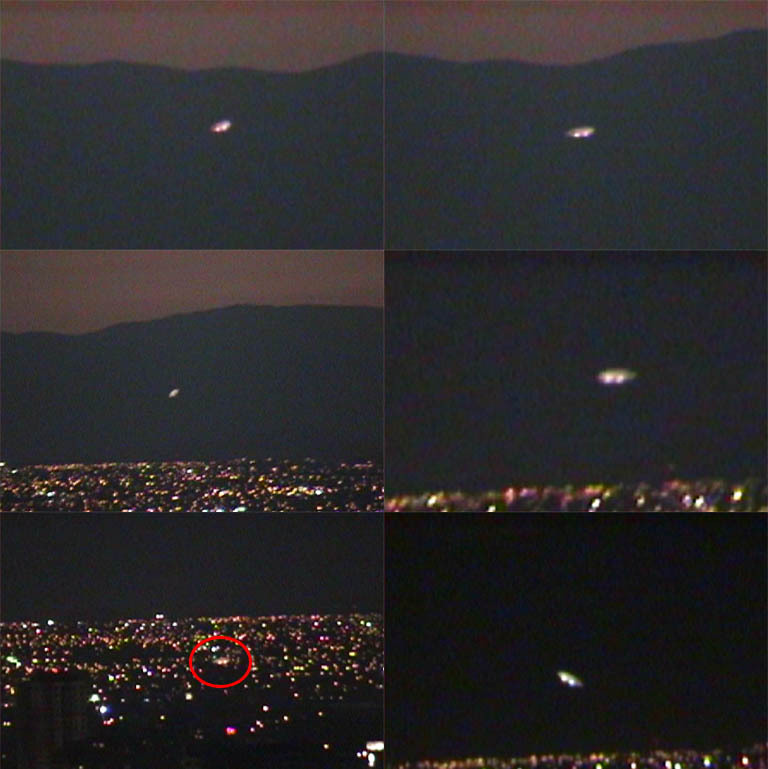 Last year, on November 2005, a couple of friends and I photographed a very strange object, flying over our city. We really have no idea of what it could be, perhaps a balloon, or perhaps something else. 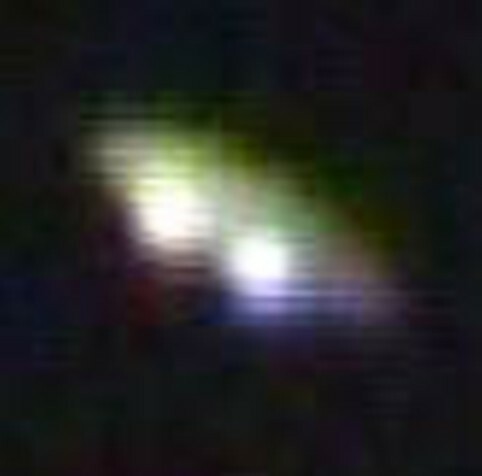 We have shown the pictures to experts and nobody has been able to explain what it is. The Chilean National Aeronautic Direction has told us that they have no record of any flying machine over the area at the time of the filming; they also said that the object does not meet any safety regulations required for all planes. I hope you find this interesting and don't hesitate to contact me in case of any questions or doubts (and if you find out it's a kite or something as mundane, please tell me as well, so we don't keep telling our friends we have seen a real cool UFO!!).  The first time we saw it was from our apartment window, around 8:00 pm, the object was flying over some mountains to the coast, it seemed really big, since the mountains are over 50 kilometers away from our apartment and the object was big. Then it started to descend and fly over the city, it "blinked" and it appeared to have its center hollow or invisible. As it started approaching some buildings, it began to "shrink". then it started to glide over some buildings not 5 kilometers away from our apartment. Suddenly, it shrank and sort of disappeared behind a tall building. about 30 minutes later it reappeared from the same spot and flew towards the mountain again, then to us, back and forth for about 20, 30 minutes and it disappeared behind some buildings again. It did this for over one hour; oh yes, it had two big lights in what appeared to be the front of the object. BEAMS Comment: While conducting some research, we discovered that a certain UFO Network (you know, the 'mutual' one) also had this very case in their archives: The witness did mention in his statement to them that 'I'm also attaching a 35 second video (we have over 35 minutes of footage, if you like, I could send you a Dvd with 3 or 4 minutes of footage, since we have been advised not to hand out freely) to watch and analyze.' End. Indeed a thumbnail image for the video IS attached to the their page... but the link is broken... surprise, surprise! We find all the best ones on there so often have broken links or are missing completely! Once again this is proof that the Internet is NOT the perfect research tool as many might like to think; so many dead ends, missing pics, broken links... and too much of this 'some results may have been removed under data protection law in Europe', a message that now regularly greets those using Google to search for information. Make no mistake, BEAMS is a resource that everyone can trust; if this footage had been sent to us and we had witness' permission to publish, we would have carried it, shown it on YouTube and practically shouted about it from the rooftops! We hold NOTHING back - except of course, the names of witnesses to ensure their anonymity.